The much-hyped launch of Planetary Resources has been held in the august surroundings of the Museum of Flight in Seattle; so now we've got some details how feasible are the plans? 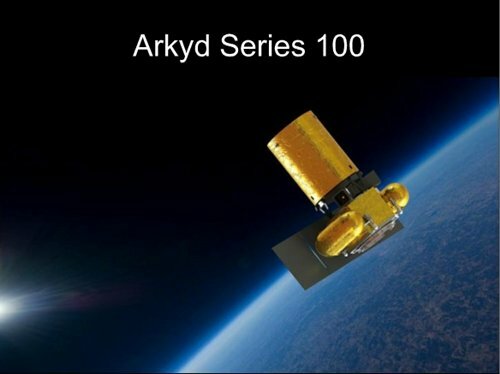 According to the roadmap laid out the first phase of the project will kick off with the launch of the Arkyd Series 100 spacecraft, which is basically a near-Earth orbit telescope designed to scout out likely asteroids for mining. The timeframe given for this is 2014, and the spacecraft is small enough to be launched as a secondary payload for a larger launch. The Series 100, which has no internal propulsion systems, will have a broad spectrum camera and will include a manipulator arm to allow pictures of itself to be taken, and will test out some of the communications technologies needed, as well as the craft's ability to work as part of a team with other units. Around 2016 Planetary Resources sees its Series 200 craft getting out of the gravity well. 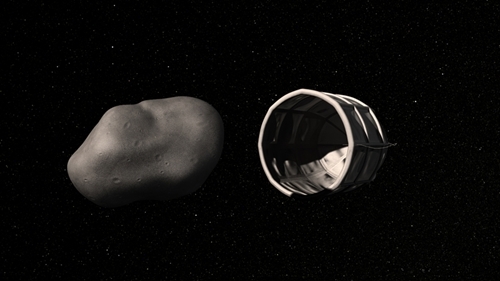 These will include a propulsion system and be tasked with scouting out for incoming asteroids that look interesting. It will also serve as a test bed for multi-unit coordination in scanning and mapping techniques. The Series 300 system will come after this, and those will be devoted to actually landing on the asteroids and starting the gritty business of mining by 2022. "This is smart money investing in one of the largest commercial opportunities ever - going to space to gain resources for the benefit of humanity," said cofounder Peter Diamandis. "The Earth is feeling a resource pinch and ultimately we have the ability to turn that which is scarce into abundance." So far, so good, and the team obviously have the first designs ready to go. One interesting facet of the press conference was about the design philosophy for the venture's space vehicles. These won't be one-off craft, like those carefully assembled and shot into space by NASA. Planetary Resources envisages an assembly line system for building the devices, which will slash build time, lower costs and thus reduce the repercussions of system failures. Such a system, coupled with some of the advances we're seeing from companies like SpaceX in bringing down the cost of getting into orbit, should make for a more cost effective mission, but it's a long way to go before the company achieves its aim of launching asteroid probe missions for the few million dollars it has set as a goal. What the press launch today didn't say was what could be done to asteroids when they got there. Sure, there were some flashy graphics about robotic refineries and one graphic showing an entire asteroid being enveloped in a shell, but this kind of stuff is more in the annals of science fiction than based on current technology. Cofounder Eric Anderson mentioned that similar systems were being set up by Shell and others on the sea floor for deep sea oil mining, and there have been some major successes in this area. But there's a world of difference between trying this approach on Earth and out in space, particularly as the whole plan is to make the entire operation robotic. Phew! Water shortage scare not so, er, scary now it is? Does Google make hardware just so nobody buys it?